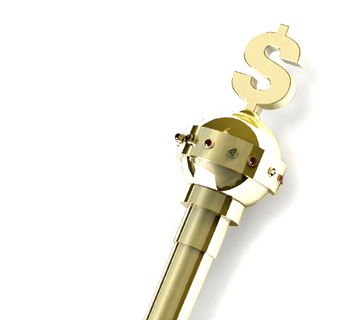 What does the term "dirty stack" mean in poker? 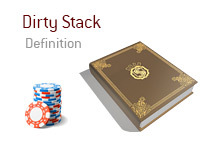 What is the definition of the term "dirty stack" in poker? A "dirty stack" is a stack that is made out of different denominations of chips. The term "dirty stack" only applies to live play. For instance, let's say that you are playing in a tournament at your local casino. You are an amateur, only having played a few tournaments in your life. Because of your inexperience, you stack all of your chips in the same two piles. For instance, you have 100, 250 and 500 denomination chips all in the same stack. This is called a "dirty stack". It is considered good etiquette to have your chips stacked in an orderly fashion, with the chips of the same denomination in each stack. You are also supposed to have your most valuable chips in front - for instance, you shouldn't have your 1000 chip stack hiding behind your stack of 100s. Avoiding a "dirty stack" is considered to be good etiquette. The main reason? If another player is eye-balling your stack during a hand, it is unfair to have chips of different denominations stacked together, as it may give them a false impression about the size of your stack. For instance, if you had a 10,000 chip piled in with your 100 chips, your opponent may believe that you have a much smaller stack than what you actually possess. In addition, if you have a "dirty stack", you very likely have no clue as to your chip total, which would make it harder to make proper decisions at the poker table based on math.